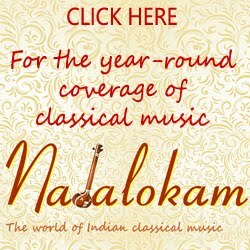 It is not uncommon for people in Chennai and other towns in Tamil Nadu to visit places where a Carnatic music event or series is held, especially in the months January, September or October. These are months with long weekends and more holidays. 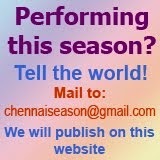 Rajalakshmi Fine Arts, Coimbatore hosts a September season every year. The schedule of the festival includes music, dance and drama, that attracts people with varied interests. This year the series is held from Sep. 2 to 11, 2016.